Award ceremony will include recognition of 2016 Asian American Heroes of Colorado and the lifetime achievement award, acceptance speeches, acknowledgment of participating organizations, banquet dim sum brunch, a commemorative video and more. Come to hear their stories; come to get inspired! 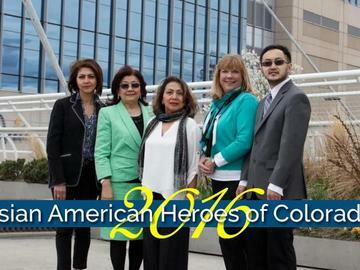 Congratulations to the 2016 Asian American Heroes of Colorado!